Abstract: Similar with Airwheel S5, Airwheel A6S self-balancing wheelchair is characterized by SUV style that can realized cross-country riding. However, A6S is an upgraded version with two larger wheel hubs and improved battery performance, making entire riding experience pleasurable and thrilling. For people who are wheelchair-bound, their daily travel is limited. Considering this, in 2017, Airwheel released two motorized wheelchair models suitable for them—H3 and A6S. A6S installs the gyroscope and handlebar controller for riders to control it. When the gyroscope finds the driver's center of gravity backward tilting, it will also generate force backward to keep balance. Airwheel A6S is an upgraded version with two larger wheel hubs and improved battery performance, making entire riding experience pleasurable and thrilling, based on the Airwheel A3 sitting posture electric scooter. Airwheel A6S self-balancing wheelchair is such a brilliant transport that is featured by larger wheel hubs as well as stronger momentum, making wild riding a trill. 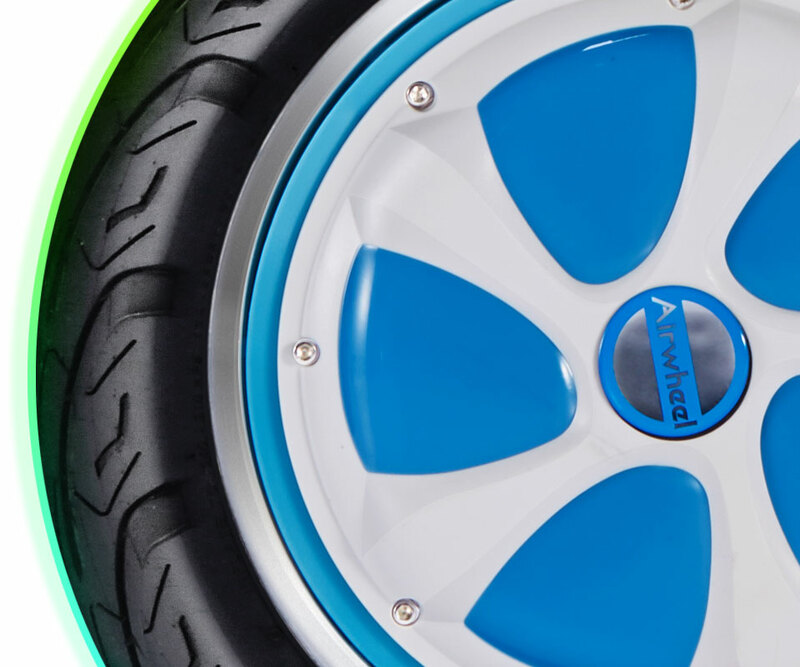 Airwheel A6S catches eye balls for its 14-inch large wheel hubs that enable A6S to run stably on rutted roads. Wild riding lovers can feel free to travel in varied terrains. Apart from the bigger size, the wheels have more land contact area plus crisscrossed wheel patterns, increasing the friction and improving the capacity of draining, heat dissipation and land holding. The application of foldable aluminum alloy frame makes Airwheel A6S lighter, harder, more durable and stylish. Actually, Airwheel A6S self-balancing wheelchair outperforms other traditional ones in aspects of controllability and road ability, providing the optimized riding experience with guaranteed safety. 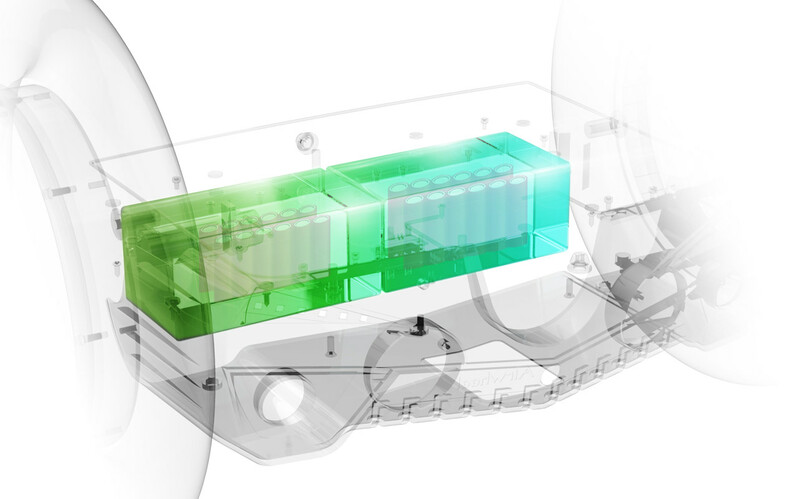 Airwheel A6S also has advantage on sustainable power supply with large battery capacity. The outstanding power sustainability of A6S makes long-distance travel realizable and easy. Besides, the motor is accordingly with larger output power, providing enough powerful momentum that can enable riders easily ride upward towards a slope. 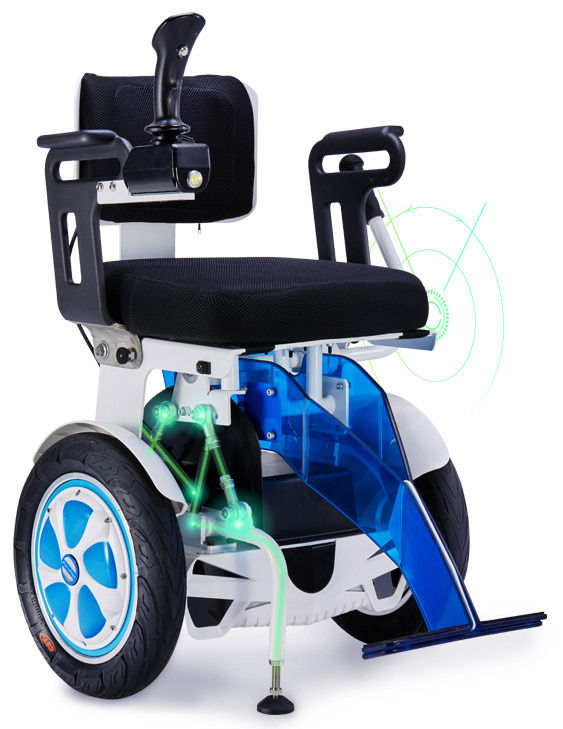 A6S folding self-balancing wheelchair has generated much popularity due to its three biggest breakthroughs in performances – bigger battery capacity, tougher appearances as well as longer range of traveling distance. These all makes A6S a milestone in the development of Airwheel. Due to these breakthroughs, Airwheel A6S smart personal transportation can be applied in varied situations and brings much convenience for the people with mobility problem. Previous：What Does The Airwheel First Electric Wheelchair H3 Bring To Us?